Pamukkale is renowned for its travertines. 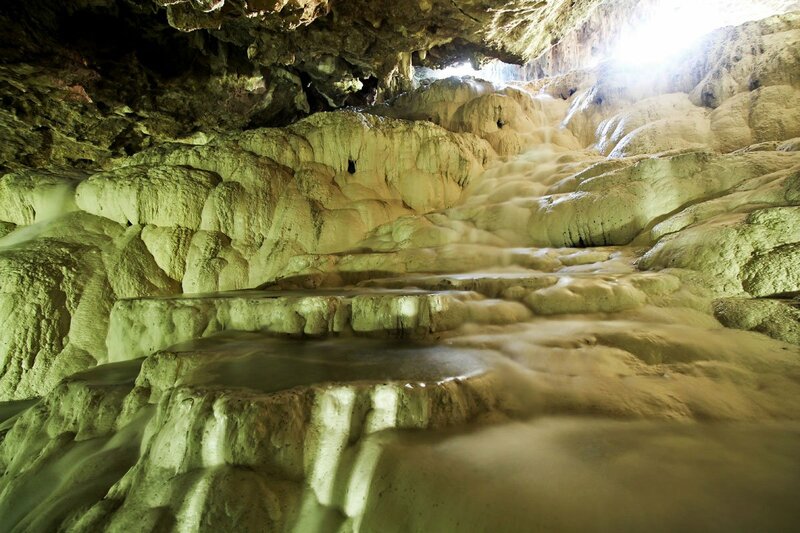 So stunning are these white calcium cascades that they attract over 2 million visitors each year, making them Turkey’s most popular tourist destination. 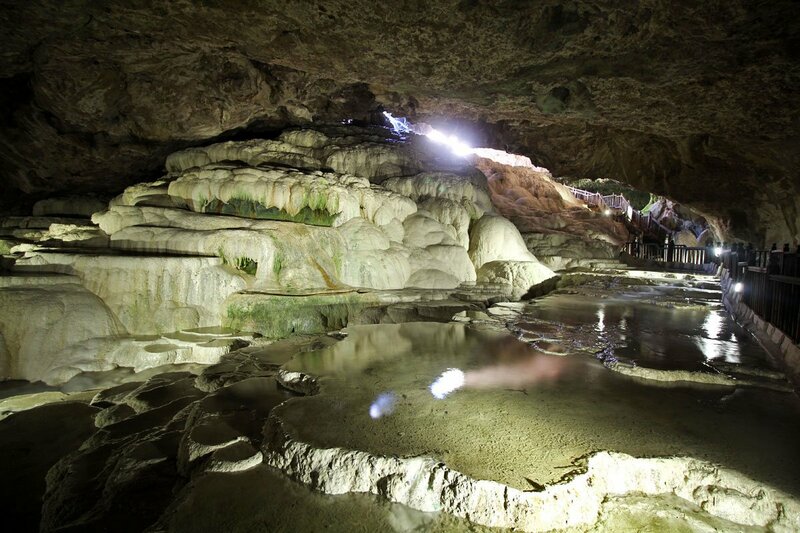 A breathtaking sight, did you know that you can see them underground as well? 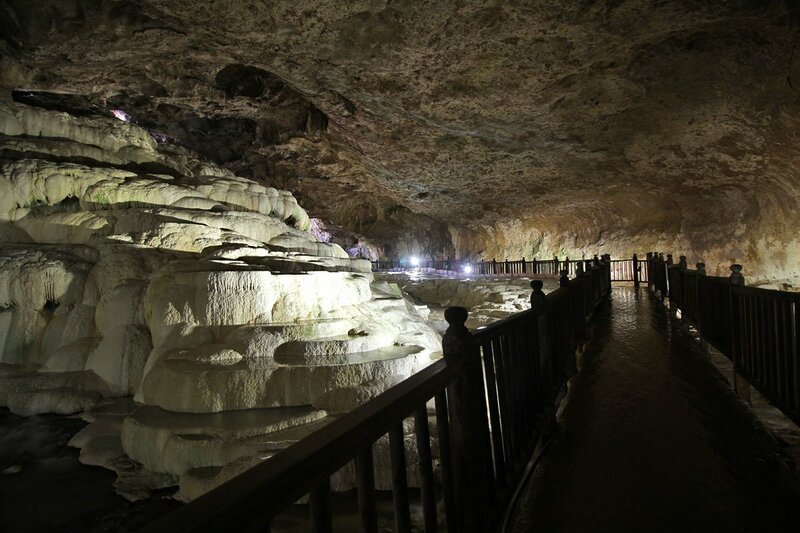 Referred to as the “Underground Pamukkale”, Kaklik Cave is a lesser known destination that boasts the same travertine structures as its more famous neighbor, except they’re smaller and found inside a cave. 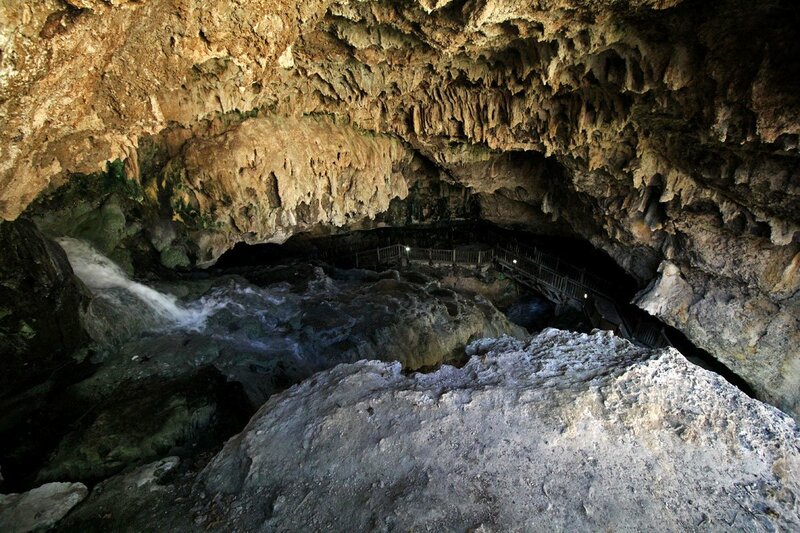 Located around 45 km from Pamukkale, the cave was discovered after the collapse of its roof and has only been open to the public since 2002. Into the belly of the beast. The circular entrance measures 11-13 meters in diameter. 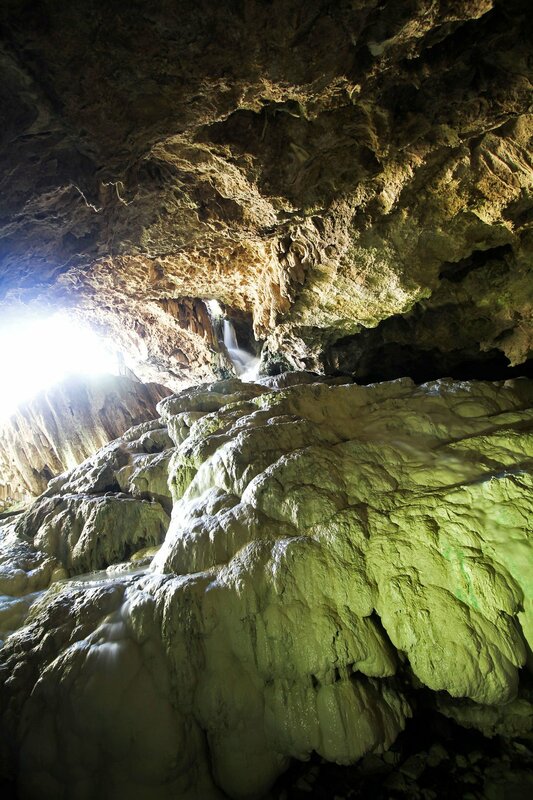 You’ll notice the pronounced smell of sulphur when you enter the cave. 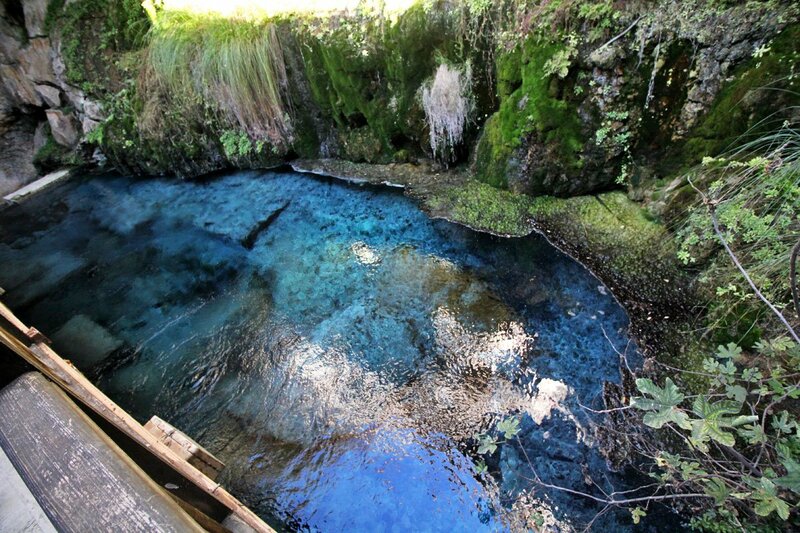 It’s because the water that flows through here contains sulphur and a high amount of sodium bicarbonate. It’s for this reason why locals have named the place Kokarhamam Pinari, which means “Smelling Bath Foundation”. 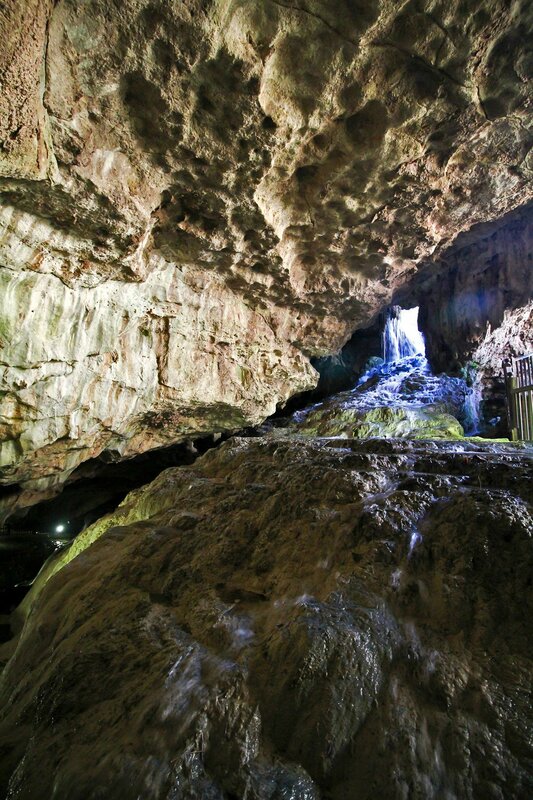 Roughly 190 meters long, the deepest point of the cave is about 14 meters from the entrance. Beautiful isn’t it? 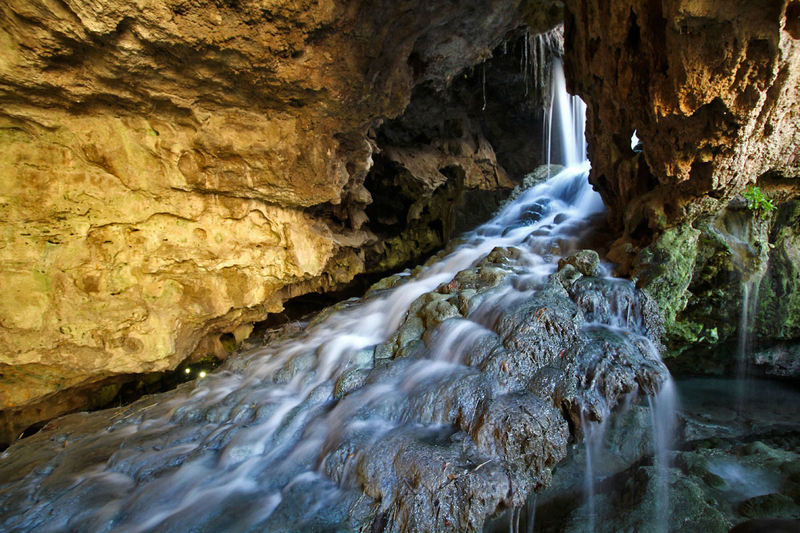 Like the spa city of Hierapolis, the cave’s mineral-rich water is prized for its health benefits. Underground Pamukkale indeed! Like the Hierapolis hillside, the calcium precipitates from the water, adheres to the soil, and forms white calcium cascades frozen in stone called travertines. The Pamukkale travertines stand alone, but it’s interesting to see them underground like this as well. Note the soppy walkway. Much water flows through here and spills onto the platforms so be sure to wear adequate footwear. Nature is amazing. “Amazing” gets thrown around a lot these days but there’s no better way to describe this. The sheer diversity of Turkey’s landscape in unlike any other. The pathway goes into the cave and around the travertines so you enter on one end and come out the other. 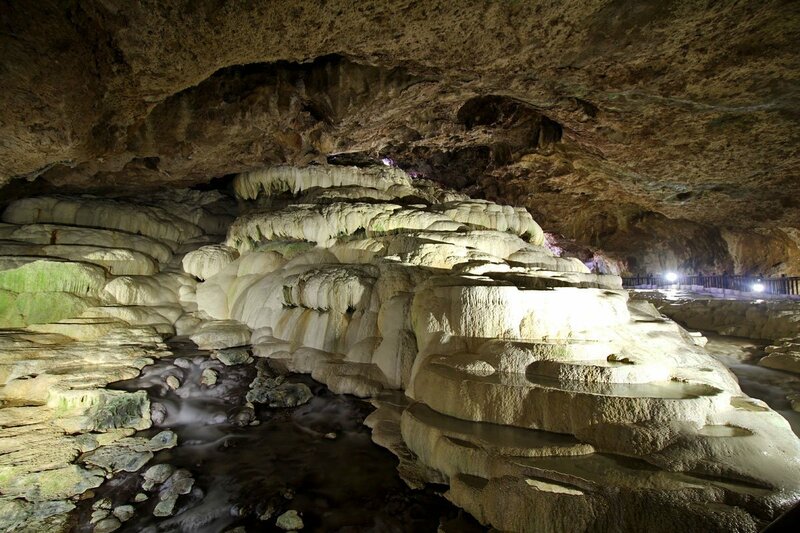 Kaklik Cave is small so you’ll need no more than 15-30 minutes to go through it and snap a few photos. A final look at the travertines. You can’t really see it in this picture but water is running all across the face of this rock and forming pools beneath the platform we were walking on. A short video Ren took inside the cave. Pretty cool to see (and hear) how much water flows through here. 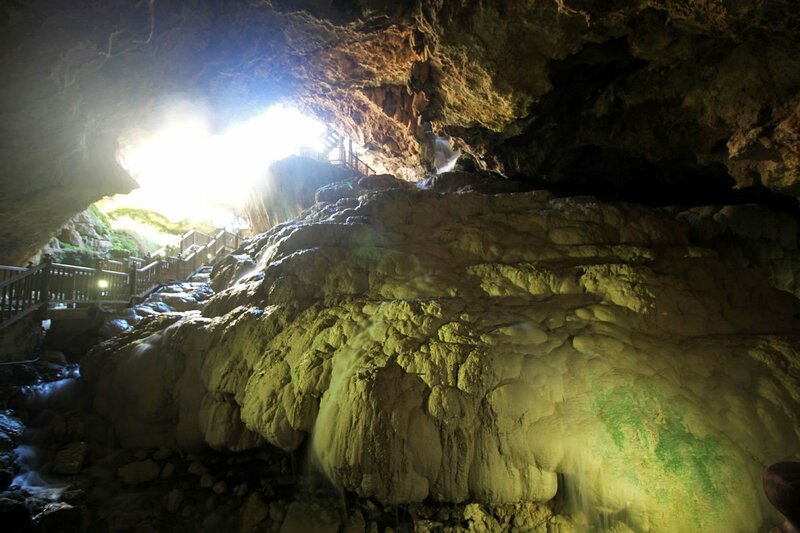 Around 45 km from Pamukkale and 30 km from Denizli, we visited Kaklik Cave en route to Aphrodisias. 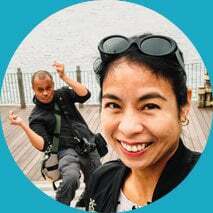 We paid 215TL each (entrance fees included) for round trip private transportation to Aphrodisias, Laodicea, and Kaklik Cave which we arranged with our hotel — Bellamaritimo. The cave is out of the way so this may be your best option if you already have plans of visiting Aphrodisias. Not sure if this will work every time but it’s worth a shot. 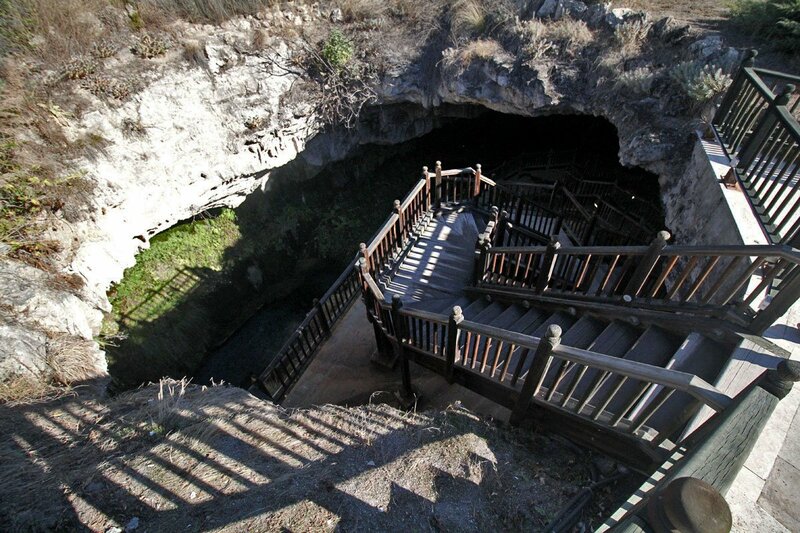 Once you get there, entrance to the cave is 5TL per person. 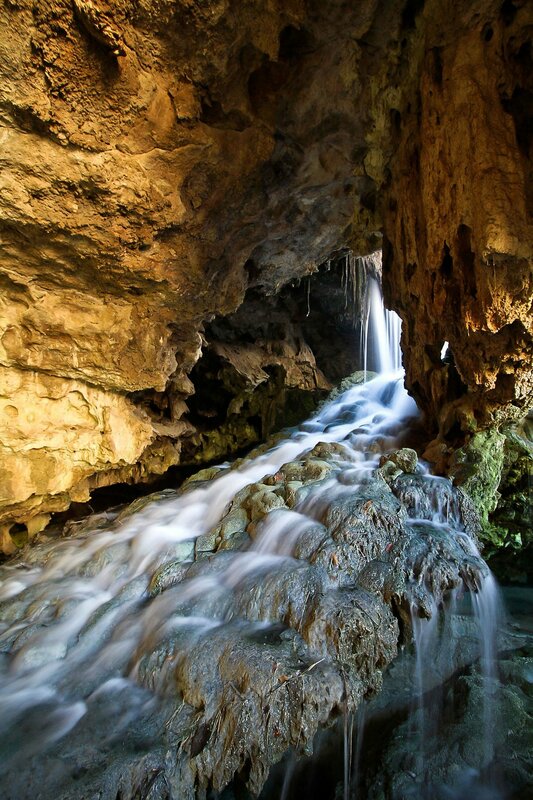 As described above, Kaklik Cave is out of the way so it’s best to make a quick stop here en route to Aphrodisias. 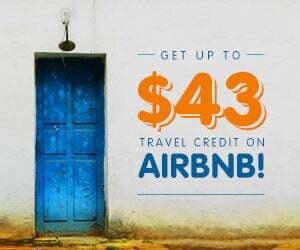 If you’re not going to Aphrodisias and don’t have a rental car, then you can try following the advice of Luceferina M above.